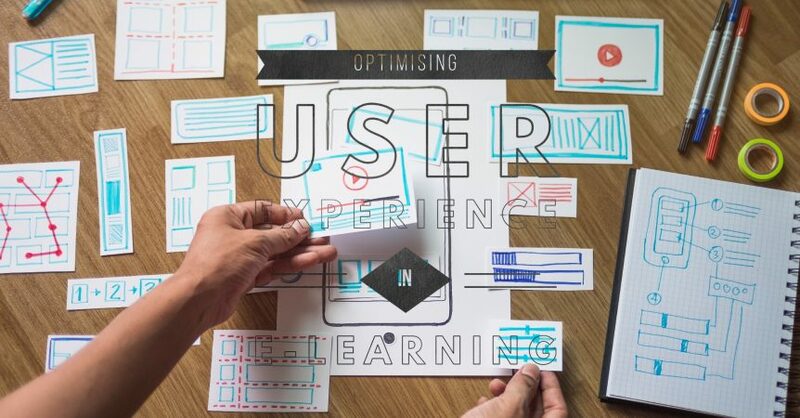 You may have heard about UX (user experience) in reference to website development, but it is just as important in e-learning course design. With good UX design, learners can focus entirely on the content of your course which will ensure you get the best result possible. This includes higher completion rates and better retention rates. When thinking about this, it is important to remember what UX design is and what it is not. It is not just the visual user interface. This is part of UX design, of course, but UX design is about much more than this. It is about the overall experience of the learner and how they feel about the course. So, it also includes technology, content, structure, navigation, and more. What does good UX design in e-learning look like? Here are the main points. The learner must be central to the entire process of creating an e-learning course. This sounds straightforward, but it is something that doesn’t always happen in practice. What you sometimes see instead are courses that approach content from the perspective of the company. This is not as effective as designing for the learner, though. So, make the content relatable to the learner, appeal to their motivations, and focus on how the course will benefit them individually. These are all good starting points. Learners expect to be able to quickly and easily switch between devices. This could be from course to course, mid-course, or even mid-module. You can facilitate this by ensuring the design of the e-learning course is responsive. Learners also expect content to load quickly. When it doesn’t, they become frustrated and may even pause progress and/or be more reluctant to restart work on the course at a later date/time. Eye-tracking studies have shown people read content on the internet in an F-shaped pattern. This means they read across the first section on the screen then move down to read the next section, although they often read less in this second section. Learners then start scanning down the left-hand side rather than fully reading. Interestingly, the F-shaped reading pattern applies to mobiles just as much as desktop devices. So, as far as possible, you should optimise the pages of your e-learning courses with the F-shaped reading pattern in mind. White space is not only okay in an e-learning course, it is also helpful. White space indicates a course that is free from clutter and it gives the learner space to breathe. This is much better than presenting the learner with screen after screen packed full of information. Clutter is also a distraction and can take away from the core ideas you want to present. Navigation is one of the most important parts of UX design in e-learning. After all, you don’t want the learner to have to think about where they should click or tap next. Instead, this should be completely natural and intuitive. In addition, menus should be simple, and you should structure them to ensure learners never end up at a dead end having to click/tap back multiple times to return to a meaningful page again. This applies across the board – page titles, module titles, section titles, and course titles. In addition to being interesting and concise, you should also make titles descriptive. In other words, the learner should immediately understand what the page, section, module, or course is about simply by its title. So, before writing a creative but ambiguous title, consider whether something that is to the point will be more effective. You should also give learners clear directions on what you want them to do. This is not about instructions, though, as courses should be intuitive enough in most cases that they don’t need them. Instead, this is about the actions you want the learner to take. The best way to do this is to use a call-to-action approach where you tell them clearly and directly what to do. “Start test now” is an example. “Watch video” is another. This will ensure the learner continues to progress through the course. In e-learning courses that have more complex topics, tooltips can be a great UX design tool. They usually appear as a small question mark on the page which the learner can tap/click to reveal. They can offer valuable help while being unobtrusive to learners who don’t need them. Images are important to good UX design too. Specifically, images should be relevant to not only the course, but also the learner. In other words, they should be relatable. Finally, feedback is crucially important in optimising UX design in e-learning courses. This includes asking users what they think about the course and, specifically, asking them what they liked and what they didn’t like. You should also, where possible, observe learners as they progress through the course. You can do this with a small, representative test group, for example. This will show you where learners stumble or take actions you don’t expect, so you can make improvements.